Over the past few days, I couldn't stop thinking that something is seriously wrong with South Africa. Violent crime and murders are happening at an alarming rate. These stunning crime levels are a serious blow to South Africa's image around the world. The world is aware that South Africa suffers from shocking high crime rates. They probably laugh at the idea of a "Rainbow Nation" because of how violent our society is. Though the five suspects were arrested and have appeared in the Boksburg Magistrate's Court, the incident highlighted the terrifying magnitude of South Africa's aggravated robberies and violent crime. "I really like Nelson Mandela but South Africa is a crime ridden mess that is just waiting to explode-not a good situation for the people!" Many South Africans took offence with Trump's comments. They saw them as condescending. I accepted his comments because they were true and remain true even today. South Africa is a crime ridden mess – and we must all accept this fact before we embark on programs to address it. Previously, I have argued that South Africa's law enforcement must be tough on crime. In the midst of a shootout with gangs – the police must not be discouraged from protecting themselves and the endangered, unarmed citizens in that moment. When a criminal is prepared to take an innocent life, law enforcement officers must not think twice about firing back in defence of their lives and the lives of innocent others. This, like other policing methods will need special and sophisticated training. The police ministry, led by the courageous Minister Bheki Cele, must ensure that it provides such training to its staff. Recently, Cele said that they have raised the issue of bail for suspects with the minister of justice as some of the criminals continue with their criminal activity after being released. 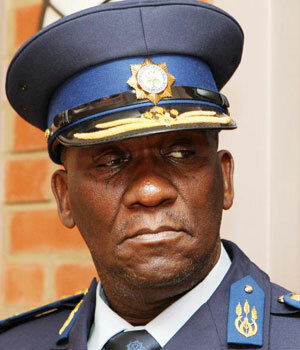 "There was a criminal we arrested who once had been out on bail 41 times before," Cele said. If this practice of arresting criminals and then subsequently releasing them persists, people like Trump will continue calling South Africa "a crime ridden mess". It must stop. South Africa's police also need to up their game on crime intelligence. The recent spike on cash-in-transit heists suggests our crime intelligence capabilities are too weak to detect these crimes before they take place. Serious improvements are needed on this front. Lastly, I'm not hostile to legal gun-ownership or gun rights. The law-abiding citizens who wish to legally own guns and protect their families must do so. This means the process to own a legal gun must be efficient and faster for law abiding citizens. Comprehensive background checks must be done on those who want to purchase guns. They should be encouraged to go for training before they buy their guns. In some cases, in a moment of life or death, having your legal gun to protect yourself and your family might be the only thing that saves your life. The very few points I have laid out above to address and reduce the shocking crime levels aren't all we need to do to address the problem. There are other, broader, long-term societal issues that need to be confronted if we are to substantially reduce these crime rates – such as the problem of children growing up without their fathers. That can't be neglected – and at some point, we must talk about it. The sooner the better. We must act on this crime matter with speed; it's urgent. As long as these shocking crime levels persist, our national image around the world will remain tarnished. And in the eyes of the Donald Trump, we will remain "a crime ridden mess". - Phumlani M. Majozi is a political and business analyst, host of The State of Africa on Salaamedia radio and One Nation FM 88.9 (in Polokwane), and non-executive director at Free Market Foundation South Africa. Follow him on Twitter: @PhumlaniMMajozi.